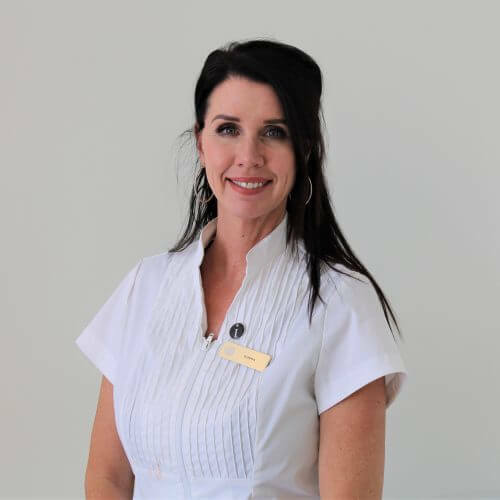 At Celebrity Laser & Skin Care our team are respected for their experience and passionate about skin health and offering laser, cosmetic and inject-able treatments to patients for naturally beautiful results.We welcomes every patient with a warmth and knowledge you’ll feel comfortable and confident in. 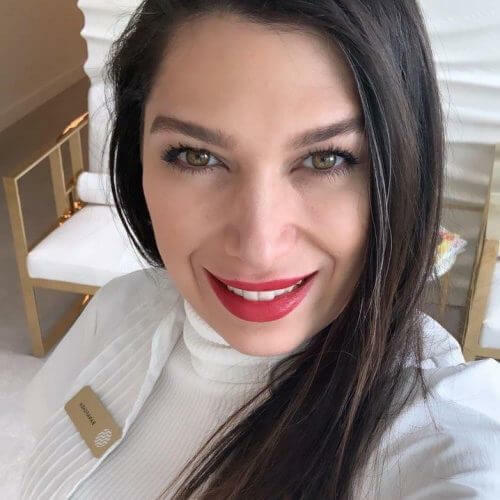 Maryam is the owner of Celebrity Laser Care since 2013 .To further her commitment & passion in this ever changing and growing industry, Maryam continues her studies with new and advanced treatments and services, in order to provide her clients with the latest and greatest! Her extensive training gives her in-depth understanding of the skin’s art structure and confidently prescribes appropriate skin health services and products . Capitalizing on her extensive knowledge base and skill sets she performs most of the skin rejuvenation, Skin tightening and Body contouring treatments at the clinic. Maryam’s full time involvement also means that she continues to direct all of the administration, marketing, and business development of the Celerity Laser & Skin Care . Known for her calm, gentle touch, clinical expertise and her artistic eye, she delivers highly personalized care for her loyal clients. Maryam also loves to travel and paint in her free time. Maryam is passionate about helping her clients achieve natural looking results, while also providing patients with realistic expectations. She believes in the power of state-of-the-art technology to enhance and accentuate her patient’s natural beauty. Farah has 25 years of experience in the Laser and beauty industry. 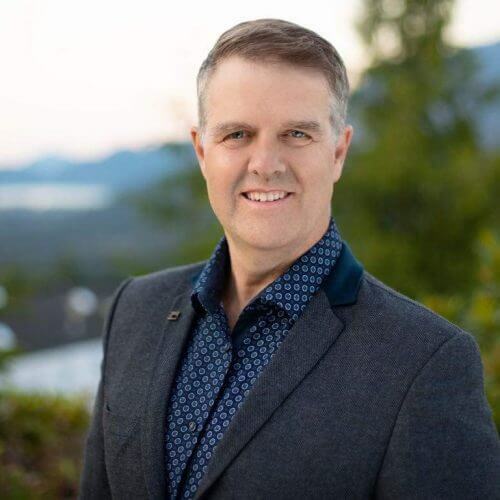 Her talent and passion in art and beauty drove her from a professional hair stylist/makeup artist to a distinguished laser therapist in North Vancouver for past 15 years. Her devotion to learning and updating herself within the industry has resulted in her gaining a strong knowledge of beauty and the finest ways to its treatment. She has had the chance to be a part of learning experience for many years assisting doctors with injectables such as filler and Botox. Farah is looking forward to creating positive experiences between her and her clients. Dr Guy Morum graduated form the University of the Witwatersrand , Johannesburg, South Africa in 1989. He emigrated to Canada in 1991 and started full service family practice. This included regular emergency shifts, surgical assists, many deliveries, regular office hours and palliative care. In 2008, he began practicing aesthetics. His main focus is on neuromodulators and fillers. Since then, his practice has grown exponentially. He has consulted regularly at Celebrity Skin and Laser care since 2012. He is happily married to Jaime and together they have 3 beautiful children. They continue to reside in Squamish. He has travelled and sailed extensively. He spent many years doing triathlons, swimming and mountain biking competitively. 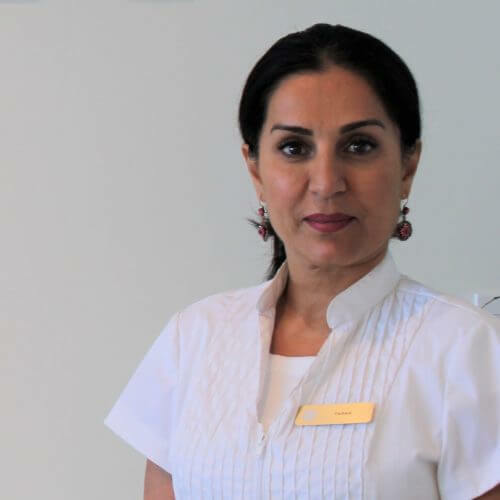 Banafsheh, has been working in medical environment since 2015 and she is a Certified HydraFacial and Women Wellness Specialist. 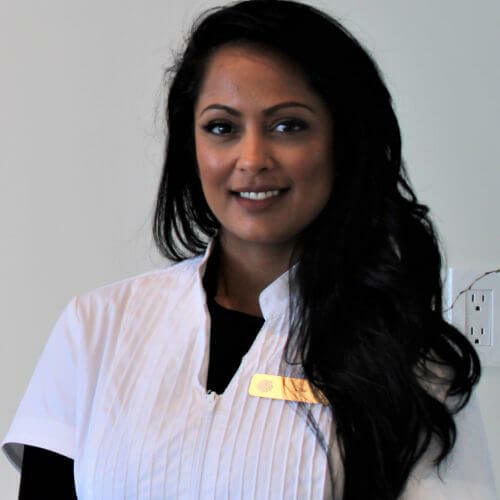 After Working as, a MOA for a couple of years and gaining experience in wellness industry she took her career to the next level by joining the Celebrity Laser & Skin care as a laser technician. Banafsheh has a pleasant personality with a proven track record of practicing safe, effective, and hygienic aesthetics. She effectively determines appropriate, successful treatments for patients with the highest level of guest services. She delivers a bespoke experience that is undeniably unique for every guest. She is a highly trained medical aesthetic technician who listens to your specific requests and concerns to provide a level of personalized service that is unmatched. Banafsheh enjoys singing and writing her fashion blog. Donna started as a health care worker for 18 years but always had a passion for working in the cosmetic field of beauty and skincare. Therefore, she started her own business five years ago working as a laser technician. By joining the Celebrity Laser and Skin Care Team she has been excited to expand her knowledge in the industry. With her expertise in both skin care and medical esthetics Donna is an asset to Celebrity Laser Team. She is also a good listener and enjoys working with clients of all ages. She is a problem solver and in her spare time she researches new and innovative health a beauty tips. A general love of learning and knowing how she can give her clients the best possible service makes her a highly skilled and sought-after person to book with. Donna will always greet you with a warm smile and a genuine interest in spending time with you when you come in for your service. Donna is a very proud mom of three adult children who are successful in what they do. Spending time with family and friends, going to the gym, hiking or walking the dogs keeps her active in her free time. Lisa Derbyshire is a professional and certified makeup artist and laser technician. She has been in the beauty industry for over 17 years, with 10 of those years as a MAC Cosmetic certified Makeup Artist. After focusing many years on hair and makeup, it was a natural transition to expand her skills and venture into cosmetic laser and medical aesthetics. Being able to offer a wider variety of services to her clientele, which is always a top priority to her. She worked under a dermatologist for over a year before going to school to complete her certification in laser and she continues to add a variety of new certifications to her background. She works very closely with her clients to target any related issue they’re concerned about, with her knowledge in both medical aesthetics and cosmetology. She adapts very well to many personalities; her unique and bubbly approach always makes people feel comfortable. She is committed to providing you the latest information and has a deep understanding for how important it is to feel revitalized and fresh. Her enthusiasm, patience and knowledge for perfecting her craft, continues to keep her in one of the top leading industry’s in the city.